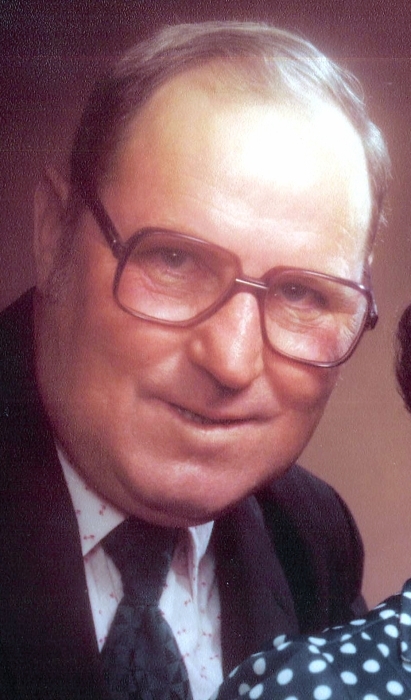 Martin L. Jackson, 86, of Monmouth, IL passed away at 3:15 am, Friday, March 29, 2019 at Monmouth Nursing Home, Monmouth, IL. He was born October 29, 1932 in New Boston, IL the son of Jesse Volny and Edna Marie (Shotwell) Jackson. He was raised and educated in rural Warren County, IL. Martin married Lois Marie Hopkins in Monmouth on August 15, 1954 and she passed away on January 11, 1984. He later married Kay Pierce in Monmouth on September 8, 1984 and she passed away on April 5, 2012. He enjoyed playing guitar, singing, working on cars and gardening. He always had a meticulous lawn. He was also member of the Monmouth VFW Post #2301 and the Monmouth American Legion Post #136. Survivors include his children, Bev (J.B.) Scott of South Dakota, Teresa (L.B.) Shunick of Rio, IL, Andrew (Vicki) Jackson of Monmouth and Laura Beam of Washington, IL; his step-children, Jerry (Trish) Pierce, Wayne (Carmen) Pierce, Julie (Jim) Ross and Billie (Randy) Prior; numerous grandchildren and great grandchildren; his sister, Delores Johnson of Monmouth; brothers-in-law, Frank Folden and Jim Hopkins both of Monmouth, IL; numerous nieces and nephews. He was preceded in death by his parents, both wives, sons-in-law, Dave Treadway and John Beam; granddaughters, Trista Scott and Amanda Scott,one brother, Everett Jackson, and one sister, Joyce Folden. .
Funeral services will be 11:00 am, Saturday, April 6, 2019 at McGuire & Davies Funeral Home and Crematory, Monmouth, IL. Interment with Military Honors will be at Warren County Memorial Park, Monmouth, IL. Visitation will be Saturday morning from 9:00-11:00 am at the funeral home. Memorials may be given to Achievement Industries or Legacy Estates both in Monmouth.